Klevorn: "We believe transportation done right -- as part of a systems approach -- can bring life back to our cities." DETROIT -- Ford Motor said Thursday that it is acquiring two technology companies and reorganizing its mobility business into four groups to develop services at a faster pace. The automaker said it will acquire Autonomic, a Silicon Valley technology company that specializes in scale, architecture and leverage for transportation industry solutions, along with TransLoc, a North Carolina provider of software platforms to transit agencies, cities and universities to create more efficient public transit. Financial terms were not disclosed, although officials said the impact would come in the first quarter. Ford's deal with TransLoc has closed. The Autonomic acquisition has not closed, but the two sides have signed a purchase agreement. Additionally, Ford said it would rearrange its mobility team into four key areas: Ford X, a business incubator that will oversee Autonomic and the company's transportation mobility cloud; Mobility Business Group, which will oversee more established initiatives such as FordPass, Chariot and other business opportunities; Mobility Platforms and Products, which will lead design and development for the technology underpinning Ford's mobility businesses; and Mobility Marketing and Growth, which will be the global marketing and sales team. "We believe transportation done right -- as part of a systems approach -- can bring life back to our cities," Marcy Klevorn, president of Ford Mobility, said in a statement. "By accelerating our delivery of mobility services through the changes we are making today, we are enabling that revival, enhancing our competitiveness and creating long-term value for Ford shareholders." 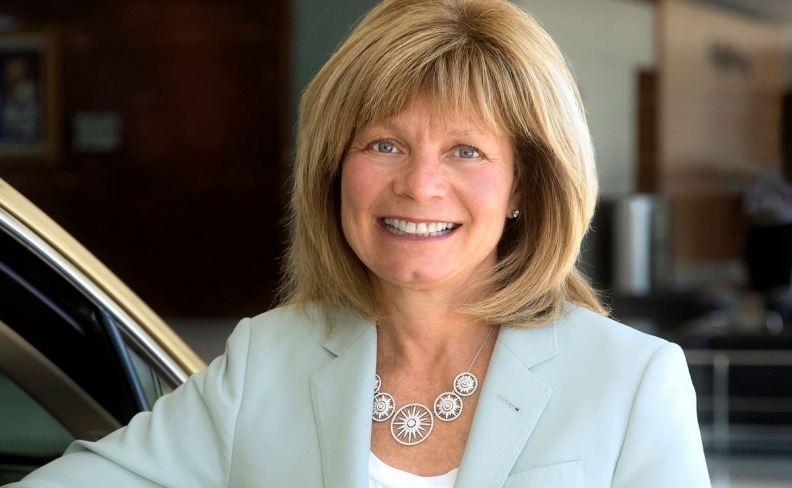 • Sunny Madra, CEO and co-founder of Autonomic, joins Ford as vice president, Ford X. • Marion Harris, Ford Credit CFO, is named vice president, Mobility Business Group. • Rich Strader, vice president, Mobility Product Solutions, becomes vice president, Mobility Platforms and Products. • Brett Wheatley, director, Ford marketing, sales and service fitness transformation, is appointed vice president, Mobility Marketing and Growth. "2018 is the year Ford Mobility moves from foundation building to product and service delivery, and we are acting decisively to ensure our teams are set up for success," Klevorn said. Ford hopes to expand Chariot, an on-demand shuttle service it already has rolled out in five U.S. cities. It also hopes to expand a nonemergency medical transportation service that it launched last year in Michigan.